This course pairs faculty-mentored student teams with enterprises on the front lines of health care delivery in sub-Saharan Africa and South Asia. To tackle specific barriers identified by each partnering organization, the course is built around custom-designed projects in strategy, business model innovation, operations, marketing, and technology. Class sessions include interactive cases, practical exercises, and lively conversations with experts, all designed to support project work before, during, and after the intensive two-week onsite collaboration with entrepreneurs, leaders, staff, and stakeholders in the setting. Course assignments include a portfolio of host deliverable, a foundational toolkit designed to support each project, and a distillation of learning from the field. Special thanks is given to Imperial Health Sciences, Unjani Clinic and php">L V Prasad Eye Institute for allowing their organizations to be featured in the sample student projects on this course site. This is a literature seminar with a focus on classic papers in Algebraic Topology. It is named after the late MIT professor php">Daniel Kan. Each student gives one or two talks on each of three papers, chosen in consultation with the instructor, reads all the papers presented by other students, and writes reactions to the papers. This course is useful not only to students pursuing algebraic topology as a field of study, but also to those interested in symplectic geometry, representation theory, and combinatorics. The MOOC ‘Idea Generation Methods’ aims to explain techniques for the goal and process oriented generation of ideas. Idea generation is part of the fuzzy front end of the innovation process. Participants have the possibility to work on specific innovation topics in the area of sustainable energy. Dr. Daniel J. Koch will impart a broadly diversified knowledge of the methods used in idea generation and he will show you how you can use them by your own. 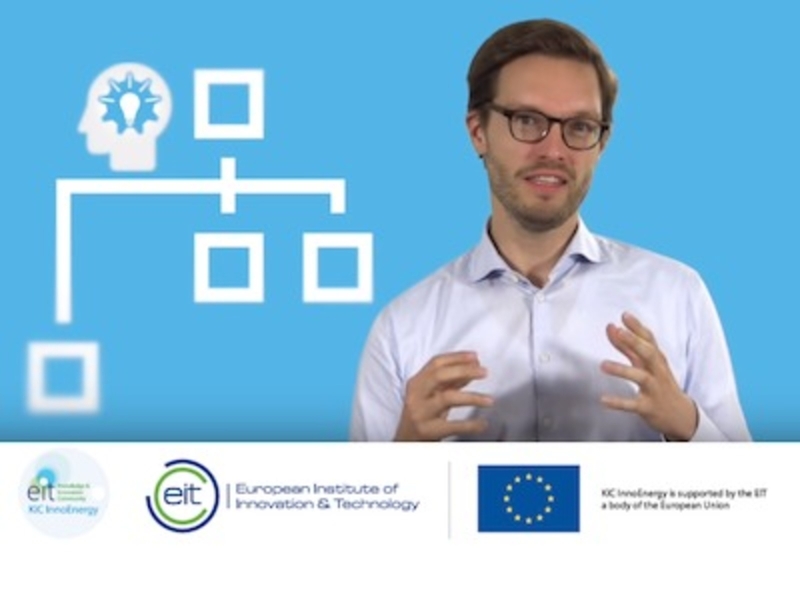 The MOOC is offered by KIC InnoEnergy, the European company for innovation, business creation and education in sustainable energy and was produced by the Center for Technology-Enhanced Learning (ZML) at Karlsruhe Institute of Technology (KIT). The aim of the course is to enable participants to apply methods of idea generation on their own project. Everyone who is curios in Idea Generation Methods and who is having an interesting topic which could be further developed. Participants will be able to understand and apply certain methods of idea generation on any self-chosen topic. For example, participants will understand and will be able to apply methods like Mindmapping & Clustering, 6-3-5, World Cafe & DeBono Hats, Concept Mapping, Scenario Techniques ( e.g. STEEP), Roadmapping and many more in a structured process. No prior knowledge is necessary. You just need to be curious about Idea Generation Methods and have an interesting topic you would like to develop further. This course will explore the distinct mindset and essential knowledge base vital to the establishment and success of any music-related entrepreneurial endeavor. It will highlight the notion that, whether they know it or not, musicians are natural entrepreneurs! • Repurpose your skills as a musician to envision and develop a business. • Leverage your fundamental “multipreneurial” nature as a musician. • Create opportunities around your diverse musical skills. • Conceive, form, launch, market, and manage a music-related business. This free course is composed of select modules from MMI 530 Entrepreneurship for Musicians, a popular course at the php/frost" target="_blank">Frost School of Music also offered through Frost Online. It offers a unique opportunity to experience the convenience and rewards of online learning.